If you love wild animals, nature and the forests then nothing better than playing games based on such themes. 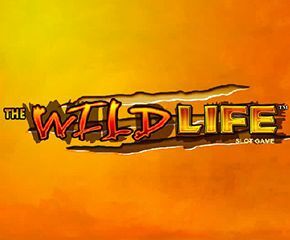 Wild Life is a new slot game that features a lot of endangered species that gives you thrills. The slot game has 20 paylines spread over three rows across five reels. There are plenty of symbol combinations that you can make here. The slot is set in the backdrop of a deep and lush green jungle. It has amazing African music that truly adds more value to the theme. The wagering begins at a coin value of £0.05 per spin and you can raise it up to a max of just £5. This game is playable on most Android and iOS phones and tablets. This wonderfully themed game based on Jungle was developed by none other than IGT. One of the most innovative casino games solution providers in the world. With a plethora of games created for online users, they have proven themselves as the best among with best. Their games support various platforms such as desktop, tablet and mobiles. 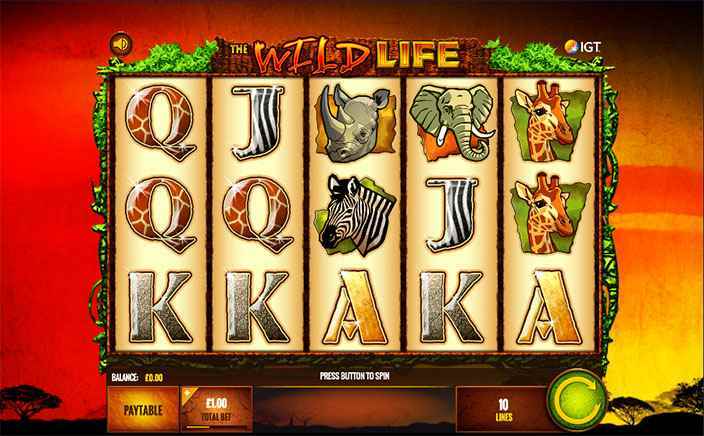 Wild Life slots have many exotic animals as its symbols and it consists of tiger, giraffe, zebra, rhino and African elephant. The one that pays you the most with five of a kind on payline is the tiger. You can win up to £625 in rewards depending on your betting amount. Playing card symbols from 9 to A pays the lower value rewards up to a maximum of £50. All symbols pay when combinations occur from left to the right on adjacent reels. The symbols display amazing animation and sound effects when they appear in a winning combo. The symbol of the mighty lion and the map of Africa are the bonuses that help you win bigger rewards. Wild Bonus: The symbol of Lion is the wild of this game and it can appear on all the five reels. Each wild appearance in Wild Life slots stretches to cover the reels. Thus you can expect to make plenty of combinations with wilds. Five wilds can help you win massive rewards that can go up to £5000. Wild Spins: The map of Africa is the scatter symbol in this game. This symbol helps you win some free spins upon its appearance. With three, four and five landings you can win ten, fifteen and twenty free spins respectively. With plenty of surprises and mind-blowing bonus features, Wild Life slots is the game every nature lover would get addicted to.